We have almost completed our study of the book of Revelation "Worthy is the Lamb." The next study we will pursue is “Miracles: Sings of God’s Glory”. Sign up in the lobby or contact Charlene Behne at 763-784-8320 so we have enough materials available. The Patriarchs: Encountering the God of Abraham, Isaac, and Jacob by Beth Moore provides a personal study experience for this in-depth women's Bible study of Genesis 12-50. Discover God's pursuit of a relationship with man, and marvel as His plan to bless all people unfolds. Full of twists and turns, ruin and redemption, revelation and mystery, this Bible study will keep us captivated by the God who stars in it! We will explore concepts such as blessings, covenant, and promise, and the bearing each has on New Testament believers lives today. We will also study the Hebrew name of God introduced on the early pages of Scripture. Throughout 11 sessions and 10 weeks of DVD lessons on exciting and engaging intrigue, we will plunge into the heart of Genesis to God's remarkable pursuit of relationship, and to the unfolding of His earthly plan: that through one nation - and ultimately one man - all people on earth will be blessed. Many of the most profound and enduring concepts in the whole counsel of God's Word are initiated in this marvelous book of beginnings. Women who love to serve the Lord. The Lutheran Women's Missionary League is the official women's auxiliary of The Lutheran Church—Missouri Synod (LCMS). If you are interested in becoming involved in Good Shepherd's LWML please contact the church office. The Good Shepherd Altar Guild is a very important, behind the scenes kind of service. The altar is prepared for the time of year and special church occasions, as well as being properly set up for Communion. This work brings special blessing to our worship time. If you are interested in serving on the Altar Guild, please contact the church office. Pray alongside other moms. Moms in Prayer International (formerly Moms In Touch), gathers moms together to pray for God to transform our children and schools. Won't you join with us in prayer for this next generation? Please contact Leanne Abraham at 651-766-7442 or MIPICentennial@gmail.com for information about our local group. 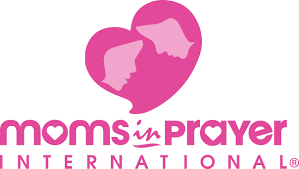 For more information about Moms in Prayer International visit www.momsinprayer.org.